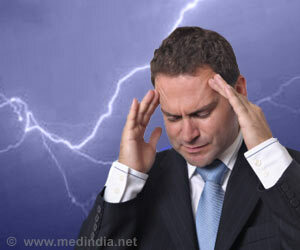 For many migraine sufferers, bright lights are a surefire way to exacerbate their headaches. And for some night-shift workers, just a stroll through a brightly lit parking lot during the morning commute home can be enough to throw off their body’s daily rhythms and make daytime sleep nearly impossible. But a new molecule that selectively blocks specialized light-sensitive receptors in the eyes could help both these groups of people, without affecting normal vision. Scientists have known for nearly a century that humans and animals can sense light even when they can’t see. Before they’ve opened their eyes, and even before cells that allow vision have matured, newborn mice still scurry away from bright lights, and set their sleep-wake cycles based on the patterns of light and dark throughout the day. The same is true of many blind people-though they can’t see what’s in front of them, their bodies still follow daily circadian rhythms, and the pupils of their eyes constrict in response to light.